Social movements and organizations of Argentina, grouped under the platform of Confluencia Fuera G20-FMI [an open platform against G20-IMF], carried out a number of activities throughout this past week against the G20 summit. They called it the “global action week: Out G20 IMF”. Meetings, seminars, discussions, political-cultural performances, workshops, talks, marches, musical events and economical-social fairs were among the events that took place in different locations in the Argentine capital. These activities addressed the issues of economy, gender, migration, trade union work, health, politics, human rights, cooperation among people and the effects of imperialism and IMF on the world and Latin America, among others, as an alternative response and critique of the effects of the neoliberal system that is touted by the G20 and IMF. The People’s Summit, one of the activities scheduled against the G20 summit, was organized on November 28 at the Faculty of Social Sciences, University of Buenos Aires and on November 29, various activities took place outside Argentine Congress. It was attended by a large number of social movements and organizations to discuss action plans to counteract the presence of G20 and IMF leaders. The continental social movements platform, Social Movements of ALBA, held a debate on the 28th about ‘The ideological and communications battle’ with participation from people from Brazil, Colombia, Chile, Cuba and Argentina. They discussed the relationship between communications and art, political education, and other dimensions of the battle of ideas. Another highlight of the week of action was the inauguration of the School of Feminist Economics in Hotel Bauen (a workers’ cooperative). The event touched on several issues integral to a feminist understanding of economics such as: global finance capitalism, corporate capture and the criticism from feminist economics; understanding the illicit financial flows from a feminist perspective; digital economy, present and future of work and gender justice; access to goods and services, financing of public policies and debt; and democratic, economic and feminist experiences in resistance. On November 29, organizations and activists set up large tents in front of Argentina’s congress and continued the agenda with speeches, forums, workshops and also a people’s economy fair. At night, there was a festival with different musical groups. The G20 Summit 2018 will begin today in Buenos Aires, Argentina, and continue on December 1. Confluencia Fuera G20-FMI has termed today’s inauguration as the “National Day against G20 and IMF”, and called for several massive marches throughout the Argentine territory. Hey Buddy!, I found this information for you: "The People’s Summit against G20 in Buenos Aires calls for popular resistance". 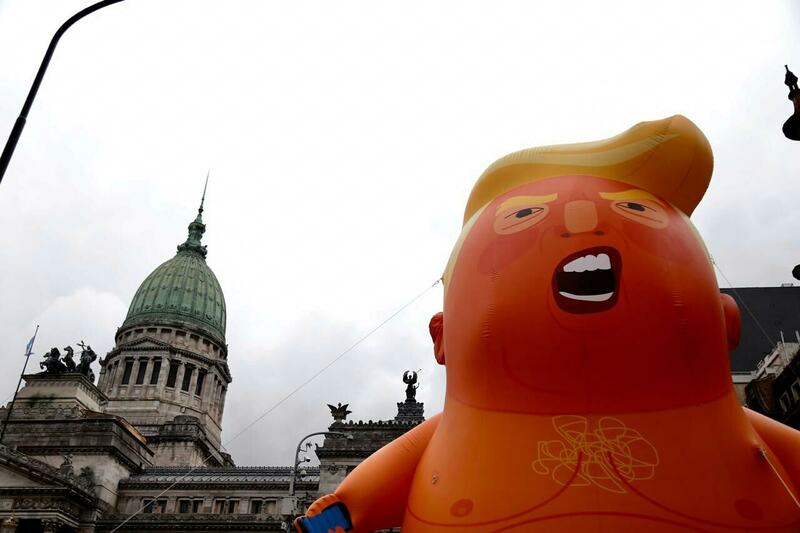 Here is the website link: https://peoplesdispatch.org/2018/11/30/the-peoples-summit-against-g20-in-buenos-aires-calls-for-popular-resistance/. Thank you.